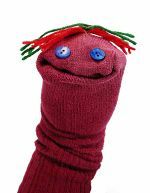 This is an official policy on Brickipedia that deals with sockpuppetry. Sockpuppetry refers to a user creating multiple accounts and using them on the same wiki for the purposes of disrupting the community. They can be used for "ballot stuffing" on straw polls (such as BOTM) and for block evasion. The creation of multiple accounts for disruptive purposes is strictly forbidden. Sockpuppetry usually results in an indefinite block on the user; in most cases, the offender's IP address is blocked to make further account creation more difficult. Backup accounts. These are side accounts that are used when the main account is compromised. For example, if the user "Example" has a compromised account, he can switch to the backup account "Example2" and inform the community of the situation. Doppelgängers. These are unused accounts that are created only to prevent another account from being created under the same name, to prevent possible impersonation. For example, the user "Example" has a name commonly misspelled as "Exaample," so he creates the latter account to prevent anyone from trying to impersonate him. In most cases, if you have an additional account or accounts, then you should make that information public to prevent suspicion. You are under no obligation to do so, however, unless asked to as part of an ongoing sockpuppet investigation. In general, use common sense and only make another account if you feel you need to. This page was last edited on 16 April 2012, at 18:42.